MAGNIFY aims to develop a new generation of artificial muscles for robotic systems. 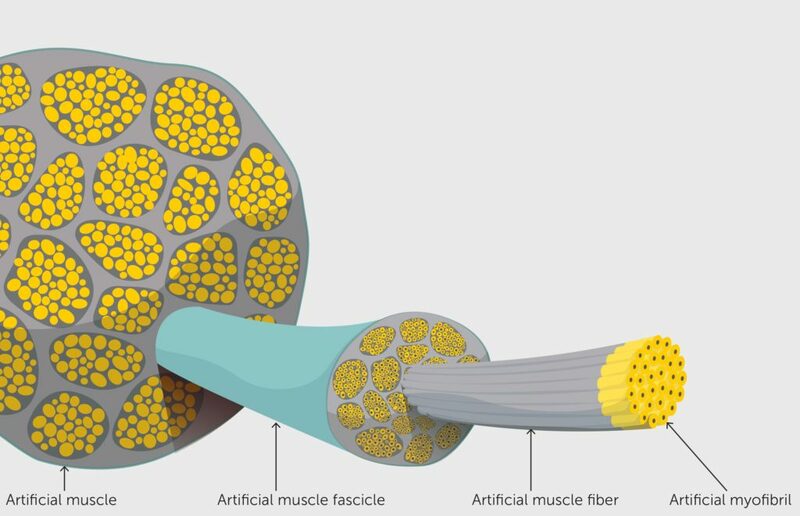 The artificial muscle will be realized by using artificial molecular machines, organized in polymer nanofibers and individually controlled by external stimuli. By learning from Nature, MAGNIFY relies on a bottom-up methodology, in which the nano-scale movement of molecular machines will be incrementally amplified to the macro-scale in the artificial muscle.